Calling Christian Women who are ready for powerful, life-changing mentorship (and discipleship) from Ericka to transform every area of your life in the next 12 months (some of our members have been with us longer as they have found so much value from being a part of Accelerate). A Trusted Program to Help You Walk in the Fullness of Who God Created You to Be and Easily Produce Consistent Results in Every Area of Your Life. You are Invited to Be a Part of The Accelerate Fearless Success Inner Circle. During my more than 25 years of building businesses (and a ministry) there are several things that I have MASTERED. This mastery has enabled me to create a business that keeps growing, an international ministry and a vault of highly sought-after trainings, certifications, and resources, my true area of mastery is being proficient in the transformational process that shifts you into “success mode” way faster than you can normally do on your own. But, the true result of this mastery is moving to a place beyond confidence – certainty – in every area of your life. Once you become absolutely certain about who you are, you easily complete the Kingdom Assignment on your life. After many, many requests, I am committing to spending the next12 months pouring into an exclusive group of students who desire to become the fullness of who God created them to be. Outward success (the tactical habits, skills, actions and execution necessary to manifest your success). This program will propel you into mastery in all three dimensions of success so you can experience overflowing provision and abundance in every area of your life. WARNING: If you can’t make at least a 12 month commitment to this process, this is not the program for you. Expanding your business is not something you just play around with and this process will take you past working your business at a hobby-level. This is my only high-impact 12-month mentorship, accountability and achievement program in which I walk along-side you to for an entire year to give you the structure, insights, guidance and revelation you need to propel you into certainty so you can easily fulfill your top three goals. You’ll have daily open access to my expertise, know-how and spiritual guidance DAILY. I also share the interior of my life so you can be reminded that you can do this…no matter what. As Christians our success should EXCEED whatever someone in the secular world can do without Jesus. Until now, the only way to work exclusively with me for business and ministry growth and development has been to set up private coaching session or to be a graduate of one of my advanced 12-week – 24-week advanced training or certification programs. This costs between $1200 a month for private coaching or consultation or a minimum of $1300 for my advanced trainings and certifications. Accelerate gives me a chance to provide a consistent and ongoing program to fully support you throughout the process of becoming ALL of who you are called to be. Understanding and walking through all 7 Steps to Manifestation. Being a part of a community of supportive, like-minded and forward-thinking Christian women who become your champions. Increasing your confidence, organization, motivation, inspiration, faith and focus. Operating at a new level of discipline and focus with ease. Providing a system of prioritization so you eliminate overwhelm. Removing ALL fear from your vision-journey (which impacts EVERY area of your life). Manifesting your three biggest goals in simple, daily steps that produce major results. Grounding you deeper in the person God created you to be with no holding back. Creating new systems, habits and behaviors that easily yield the results you desire. Moving you to new heights in accessing the power of the Kingdom of God within you. Increasing the resources and wealth to which you have access. Weekly video trainings and updates from Ericka that take you deeper into mastery on each of the topics. Monday 15-minute POWER calls (from 12 noon – 12:15 EST each week) to keep you aligned with your greatness and focused on making an impact. Action Steps and Insights you can take immediately each week to elevate your results. Complimentary reviews of your websites, product or program ideas, sales copy, or other business-building ideas that will keep your business moving forward. Clear templates for you to outline your specific and most pivotal goals to achieve in this program. Live daily interaction and accountability check-ins, encouragements and answers to your questions with Ericka in the Private Facebook Group for Accelerate Inner Circle Members ONLY. LIVE laser and group coaching during the monthly Coaching Gym for Accelerate Members ONLY. LIVE monthly calls every third Monday at 7:30pm EST – 9:00 pm EST with Ericka and the Accelerate Inner Circle Group (all calls are recorded if you can’t make them live). Access to Ericka’s online learning center and her vault of NEVER BEFORE released teachings. Weekly action and prophetic messages from Ericka to keep you energized and moving forward. A system of structure and focus that keeps you on track and producing results. There is an application process to be accepted into Accelerate. Once you fill out your application and return it to Ericka for consideration, Ericka may contact you with further questions before acceptance. You will be notified as to whether or not you have been accepted within 24 hours. Once you are accepted, please be prepared to handle your payment (monthly or full payment) within 48 hours. If you are unable to do this, please do not apply to Accelerate at this time. Ericka discovered her passion for entrepreneurship when she was just five years old. It was this knowledge and understanding that caused Ericka to start her first business on her 18th birthday. By the time Ms. Jackson graduated from college her workshops and speaking engagements were in demand nationally. Ms. Jackson utilizes her strong business background to teach ministers how to build thriving ministries outside of the traditional church. She trains those called to business in how to grow their businesses to fulfill the vision for which it was created. She trains people all over the world how to step into the fullness of their power and calling and ministers and business-owners. In 2001 she created The Convergence Center LLC, a world-class business and ministry training organization for Christian Leaders. She founded The International Alliance of Christian Business Women, where she trains women to build business empires (www.IACBW.com). 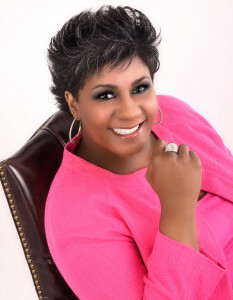 Ericka is the author of numerous CDs, podcasts, articles, trainings, teaching tools and five books including The Power of Vision, The Fearless Living Challenge, Inside the Bulls-eye, When God Calls, Beyond Fearless: How to Remove Every Hindrance From Your Life and her most recent work, Your Heart is the Key. She is the founder of The Kingdom Ministers Training Institute and serves on the Board of Directors for national and international ministries. Her work is headquartered in Raleigh, North Carolina. You can learn more about Ericka and her life’s work at www.erickajackson.com.